Tom Cage's murder trial sets a terrible clock in motion, and unless Penn can pierce the veil of the past and exonerate his father, his family will be destroyed. Unable to trust anyone around him--not even his own mother--Penn joins forces with Serenity Butler, a famous young black author who has come to Natchez to write about his father's case. Together, Penn and Serenity--a former soldier--battle to crack the Double Eagles and discover the secret history of the Cage family and the South itself, a desperate move that risks the only thing they have left to gamble: their lives. Mississippi Blood is the enthralling conclusion to a breathtaking trilogy seven years in the making--one that has kept readers on the edge of their seats. 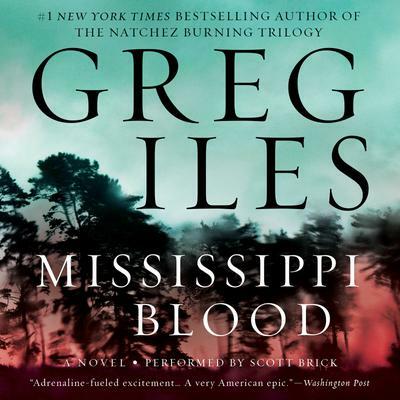 With piercing insight, narrative prowess, and a masterful ability to blend history and imagination, New York Times bestselling author Greg Iles illuminates the brutal history of the American South in a highly atmospheric and suspenseful novel that delivers the shocking resolution his fans have eagerly awaited.